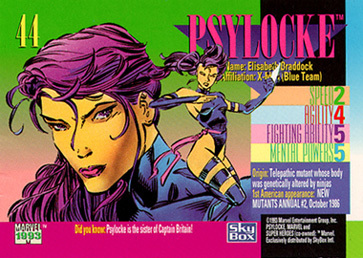 The daughter of a wealthy British family, Elisabeth Braddock discovered that she had the mutant ability to read other's minds. 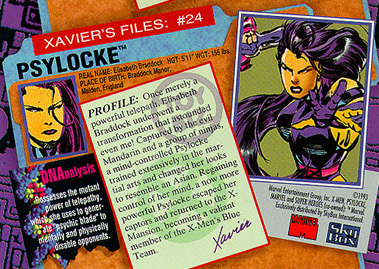 Her talents led her to join the X-Men, where she learned to amplify and control her skills. 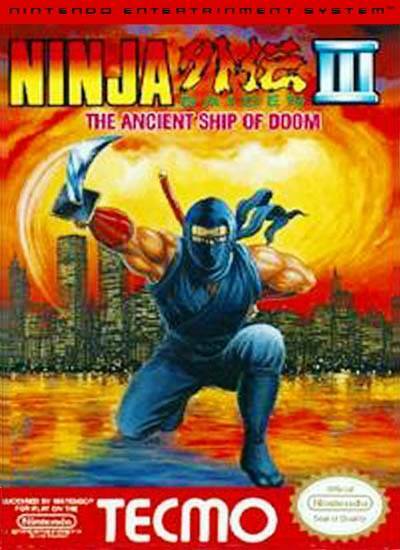 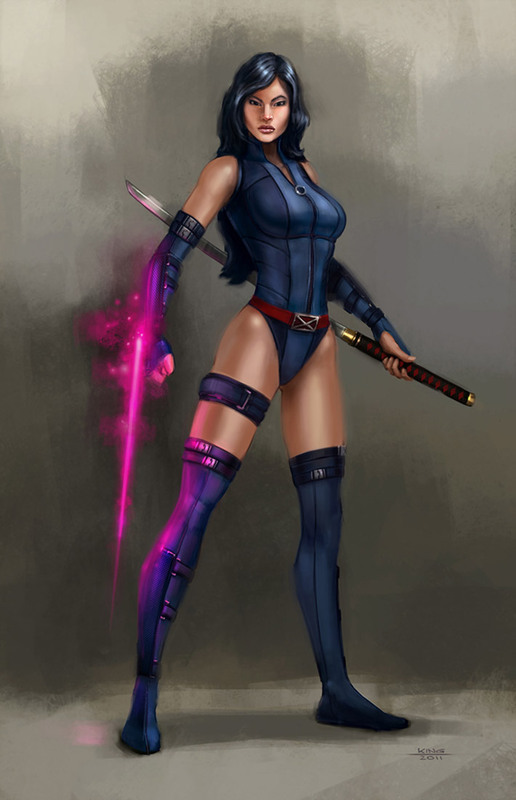 A terrible accident in Japan left her near death, and through an ancient ritual her mind was placed in the body of Kwannon, a skilled ninja who also possessed limited psionic abilities. 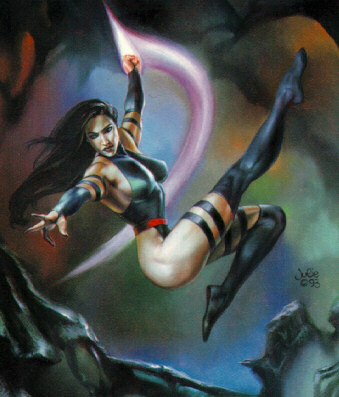 It took her some time to grow accustomed to her new body, but found the physical skills it possessed to be a great asset. 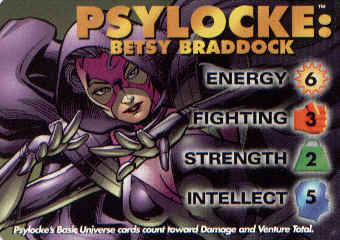 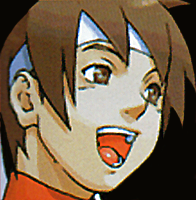 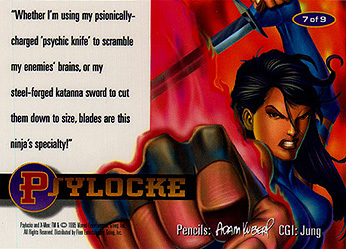 Her mental powers had also increased, and she had the ability to form a "psychic knife" which she used to neutralize opponents without causing any physical damage. 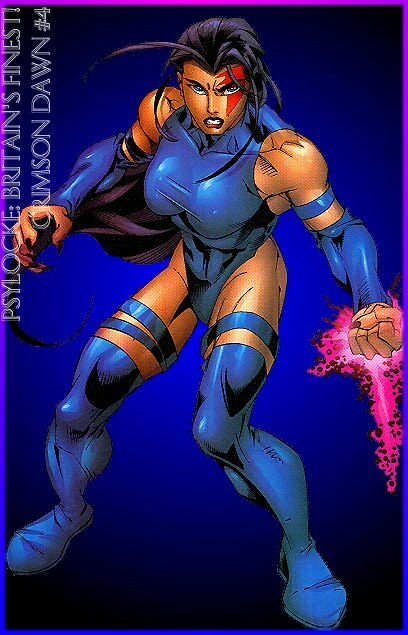 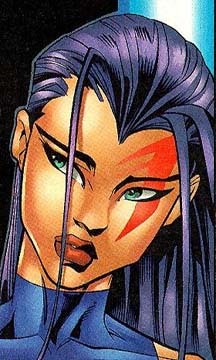 The other X-Men had to adjust to her new look as well, but now she is once again a trusted member of the group. 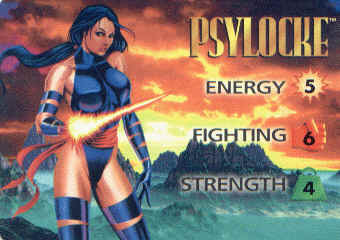 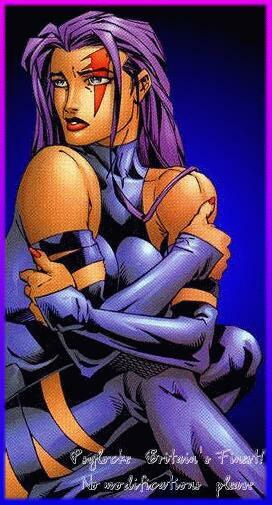 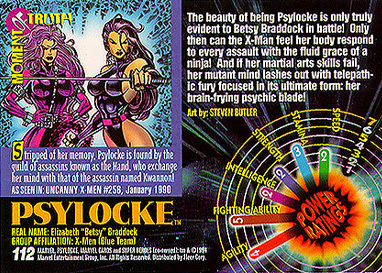 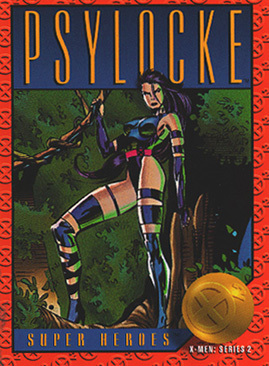 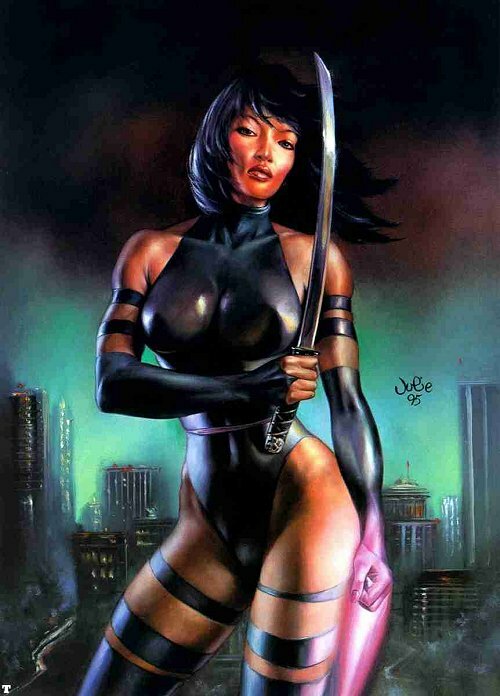 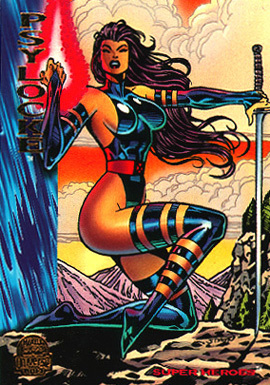 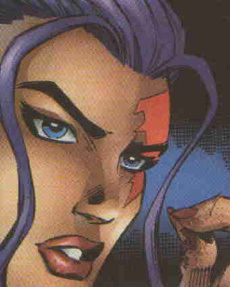 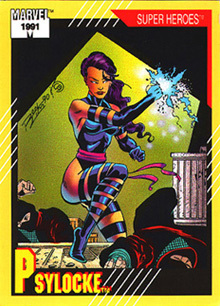 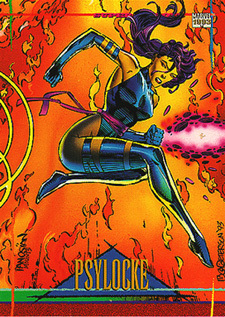 Psylocke was one of the first ninja girls I ever had a crush on... (hey, I was like 8 years old then, gimme a break.) 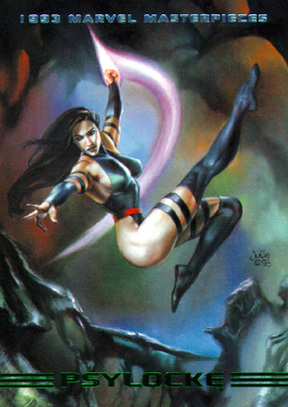 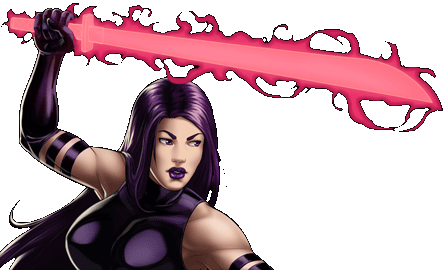 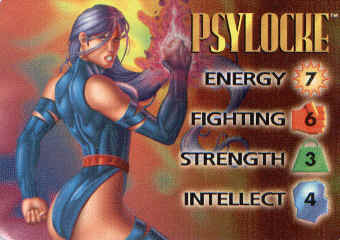 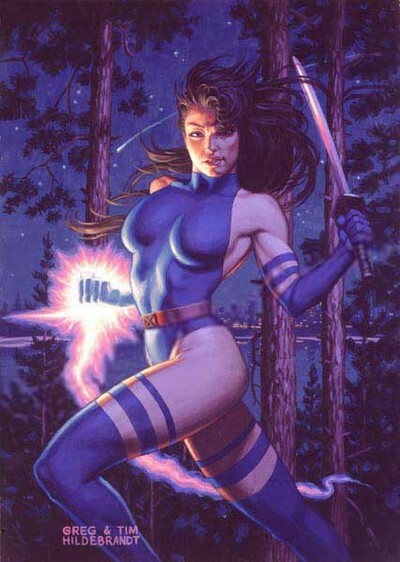 ^o^ Psylocke is probably one of the coolest ninja chicks of all time. 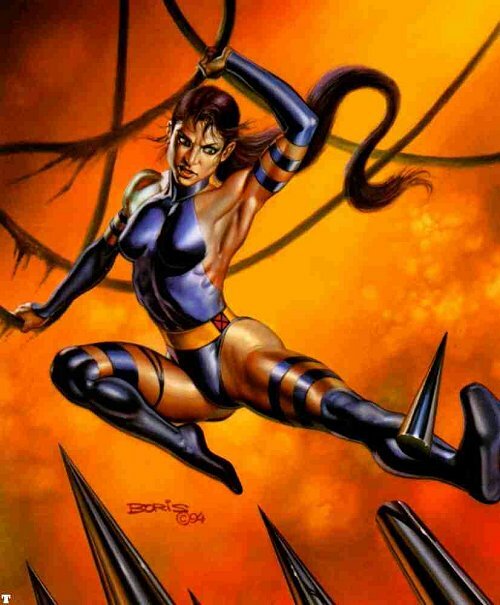 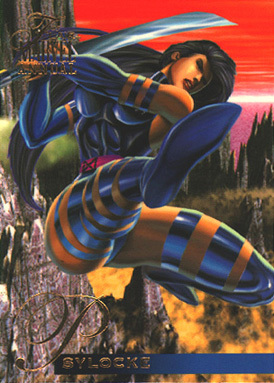 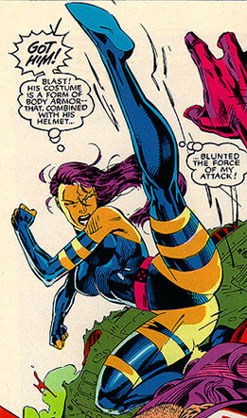 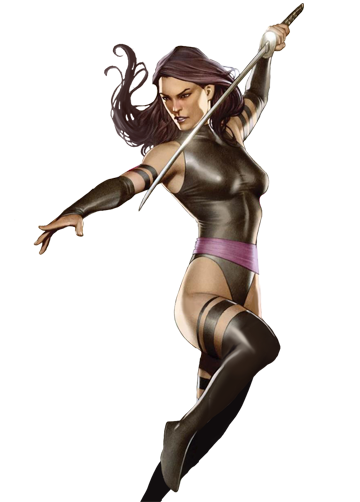 She filled the "ninja girl" gap in the X-Men series, and in the Marvel universe as a whole. 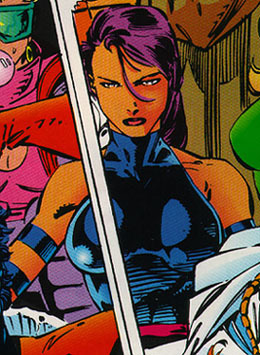 Her original appearance and style is iconic... and she spawned plenty of wannabes. 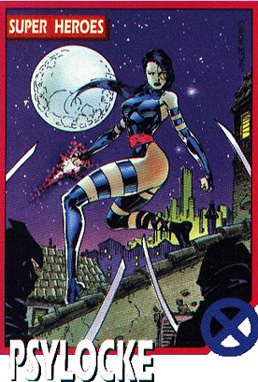 For one, she pretty much inspired Ed Boon and Midway to basically "rip-off" her design to make Kitana's original outfit. 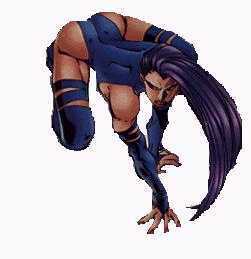 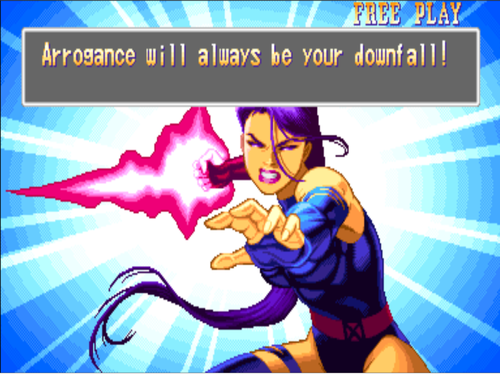 In the Capcom games, Psylocke shows off a badass fighting style with particularly dynamic animations. 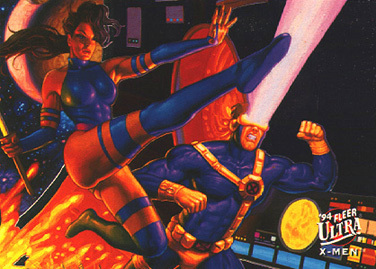 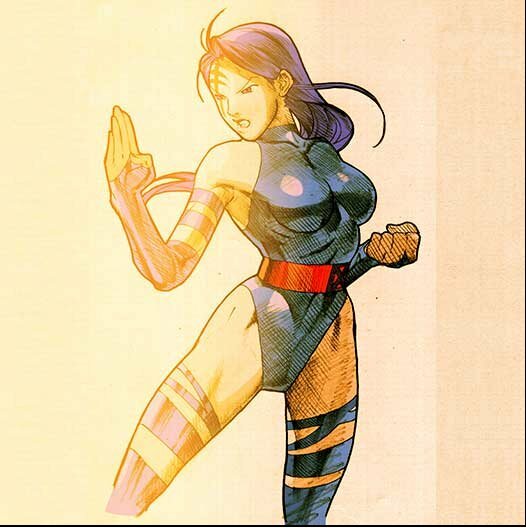 That Psylocke X-Men sprite definitely hit some poses and positions that no other fighting game character ever hit before. 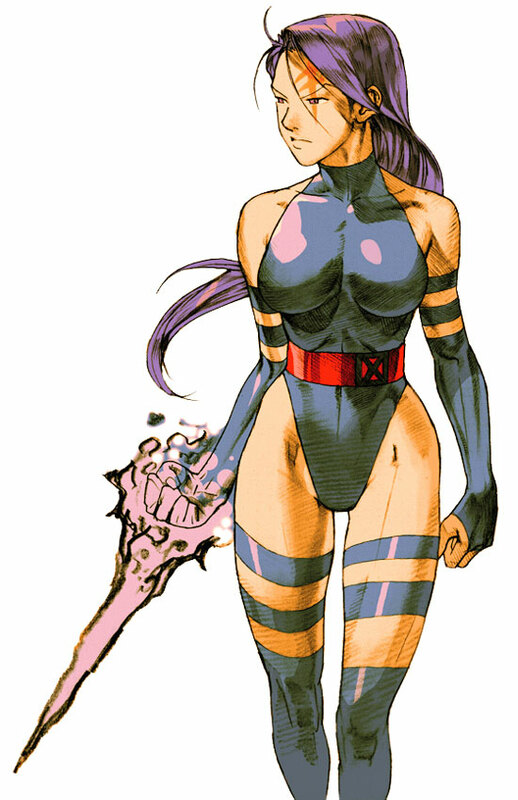 She was a solid character in every game she appeared in. 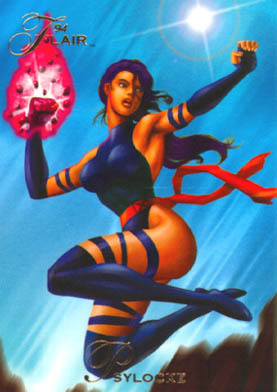 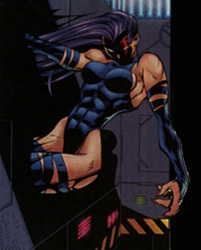 In MVC2, she became notorious for being an assist character for Magneto (thanks to unique combo options).